The Suzuki GSF600 Bandit was so successful it spawned a whole class. Budget middleweight roadsters. The recipe is simple take one aging but acceptable supersport engine, bung it in a basic, straightforward roadster chassis and price it as keenly as possible. The first Bandits proved best sellers, great for novices and as all-rounders. 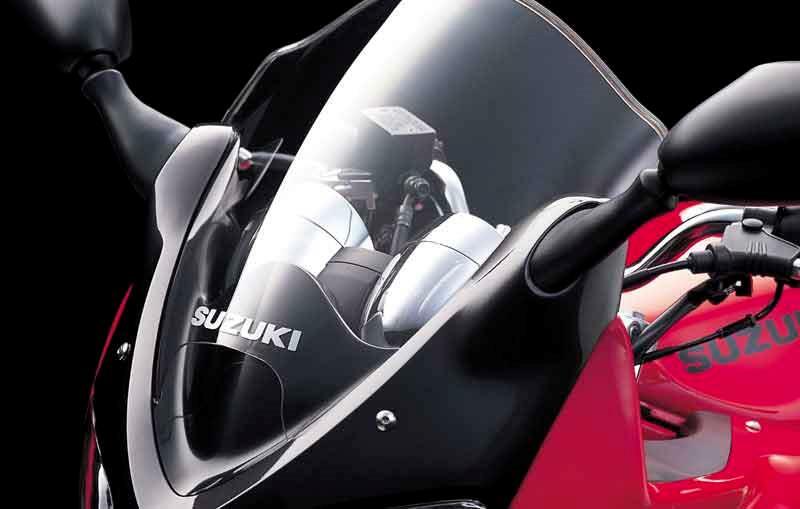 Latest versions are now 650cc and there’s an all-new engine in 2006. All, including the half-faired versions are great value. 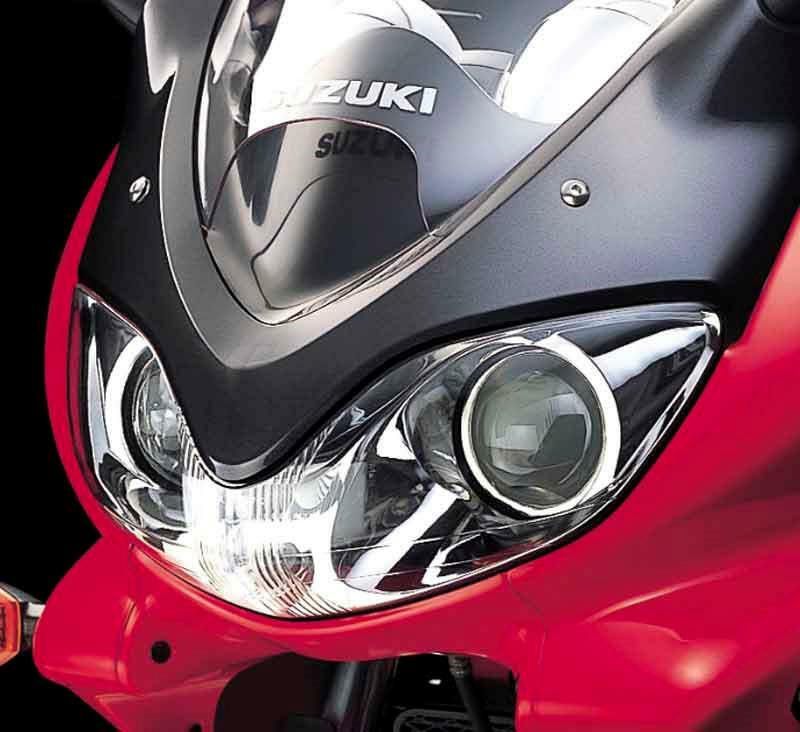 Derived from the old ‘teapot’ oil-cooled GSX600F. 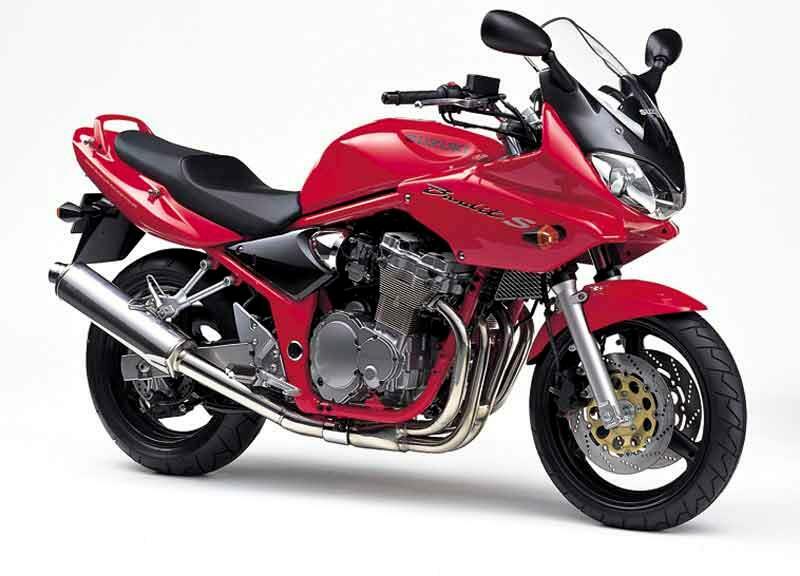 The Suzuki GSF600 Bandit is outdated as a supersports, but fine as an all-rounder. Free-revving, flexible-ish, novice friendly and solid as old boots. The GSF600 Bandit isn't cutting edge, but no messing honest instead. Forget the budget price for moment, the Suzuki GSF600 Bandit is a solid deal. In a nutshell it’s made by a repoutable manufacturer and is using proven, old tech components – so what can go wrong? The answer? Not a lot. That said, GSF600 Bandit's often dropped (by novices), caned, ridden through winter not always maintained properly and generally given a hard time, so inspect closely. 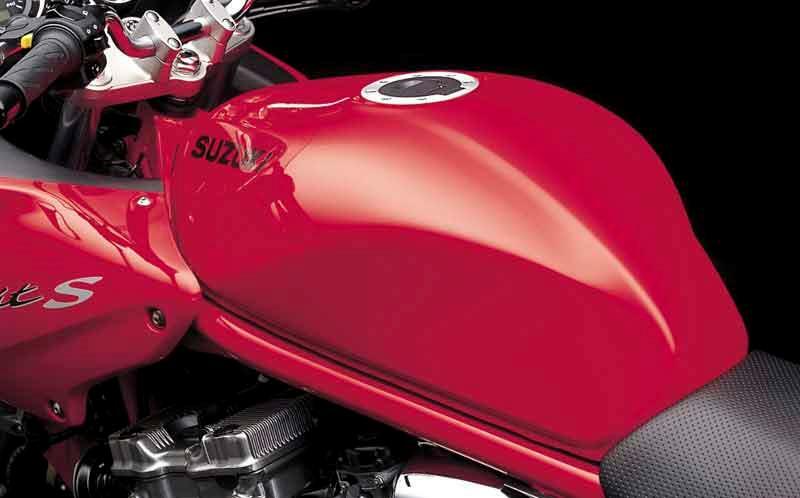 The Suzuki GSF600 Bandit’s sheer value for money. It’s always been the cheapest in class and if the Yamaha FZS600 Fazer knocked it off its perch in pure performance terms, the GSF600 Bandit still rules the roost when it comes to squeezing every last pony out of every pound spent. You can buy cheaper, you can buy better, but nothing has ever had absolute value nailed to it quite like a Suzuki GSF600 Bandit. Find a Suzuki GSF600 Bandit for sale. 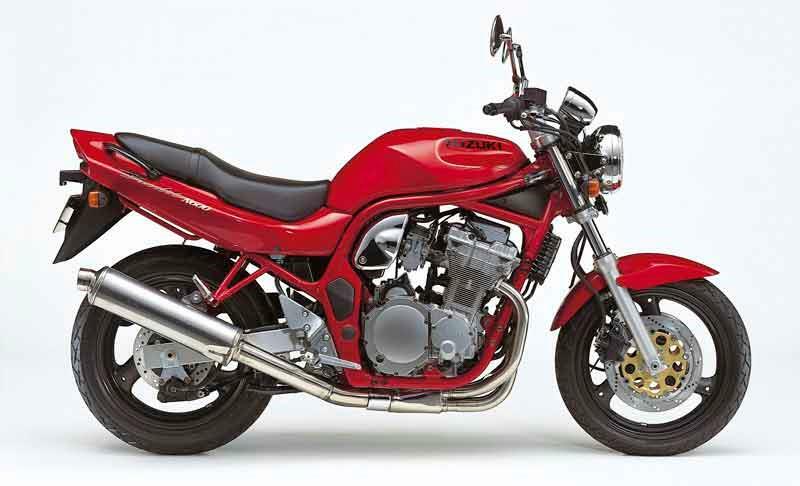 1995: Suzuki GSF600 Bandit launched. 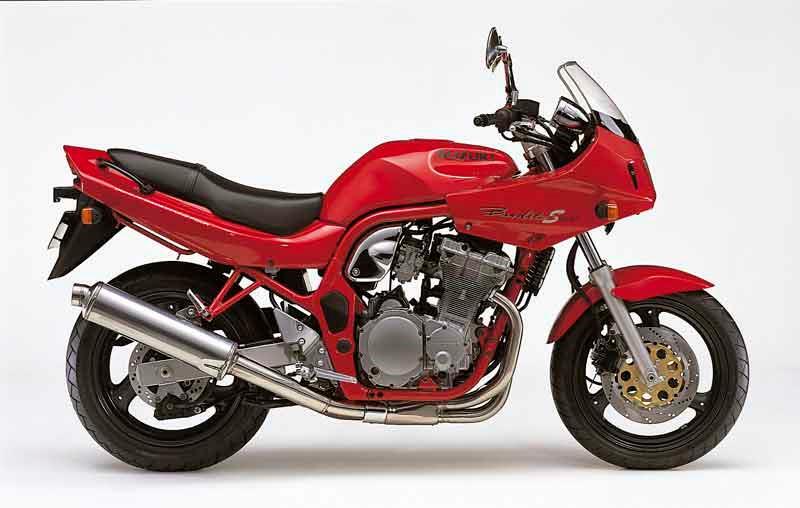 1997: Suzuki GSF600 Bandit now with centrestand and grabrail as standard. 1999: Suzuki GSF600 Bandit now with forks with adjustable rebound damping. 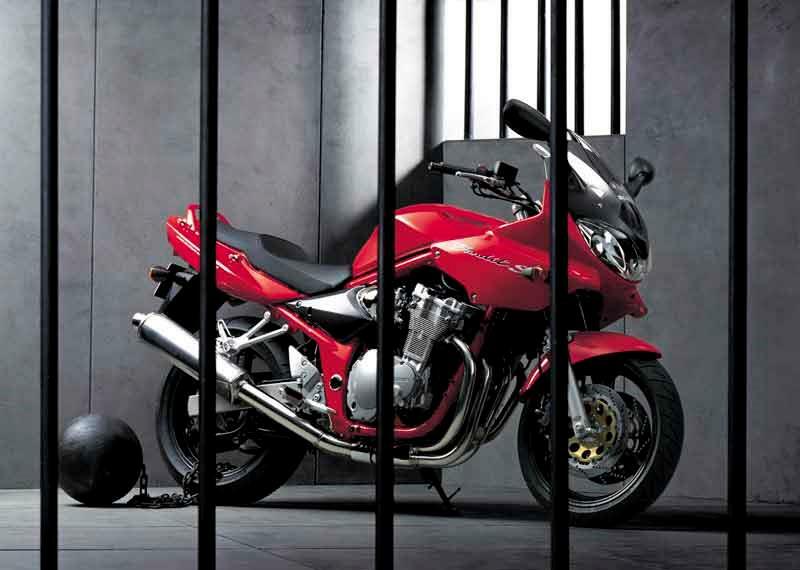 2000: Suzuki GSF600 Bandit updated model with new frame, longer wheelbase, new bodywork, lower seat height. 2002: Suzuki GSF600 Bandit now with fuel gauge as standard. 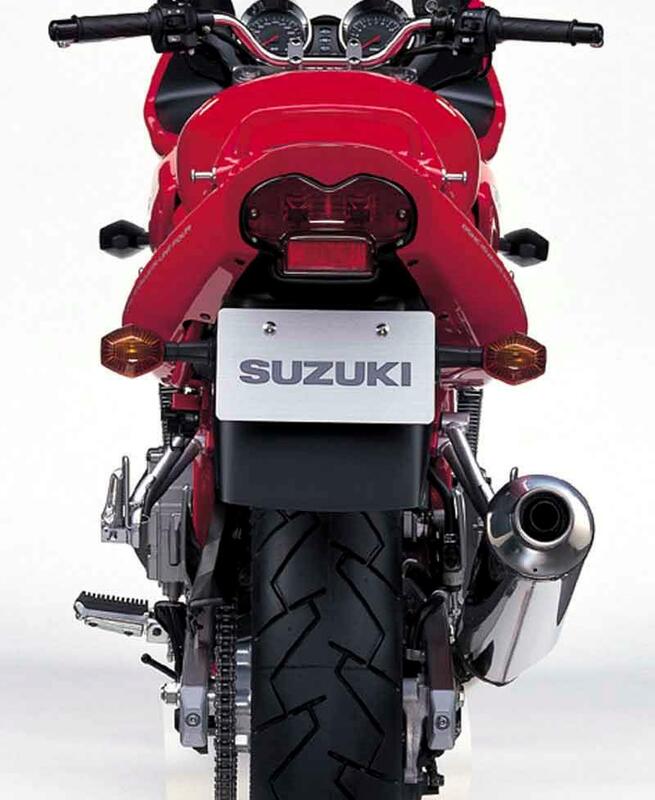 2004: Suzuki GSF600 Bandit now with catalytic converter. 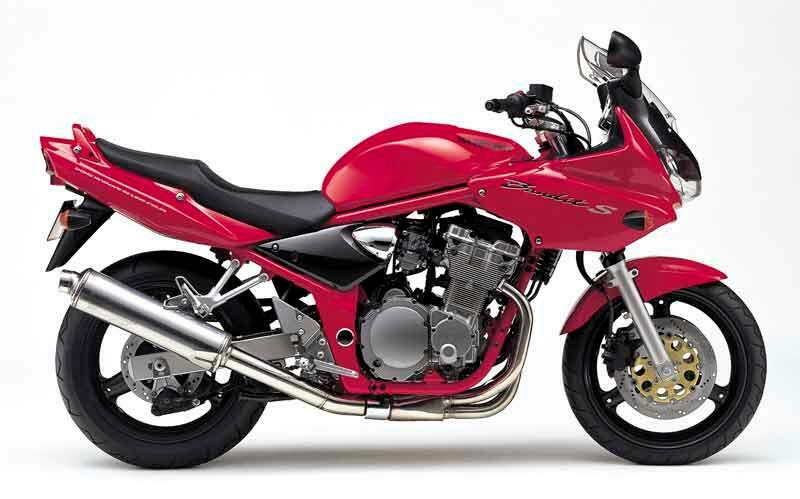 2005: Suzuki GSF600 Bandit discontinued (replaced by 650cc version, see seperate review). Suzuki GSF600N Bandit is unfaired, GSF600S Bandit is faired. 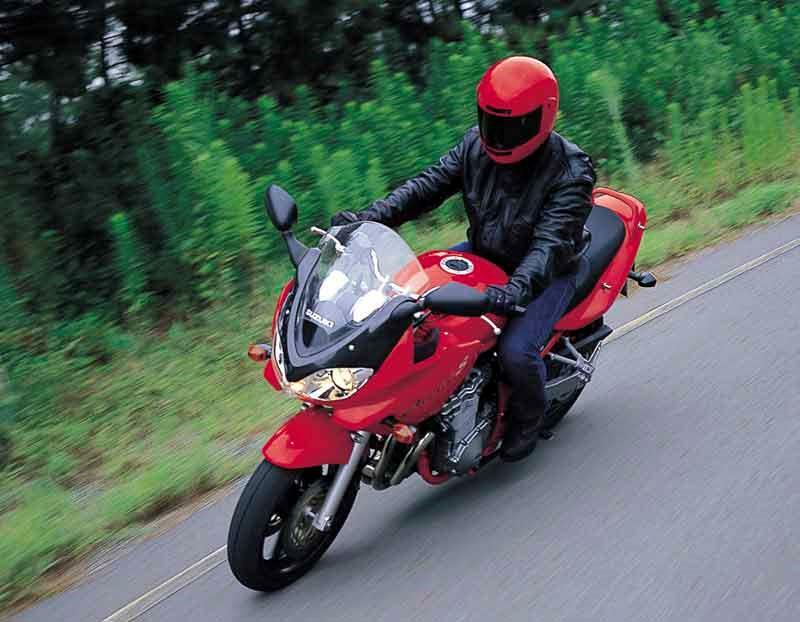 For practicality and long-distance comfort the faired motorcycle is the one to go for. For looks and hoonability, go for the naked. 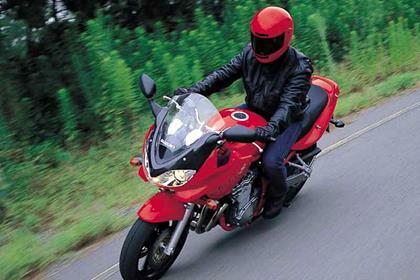 39 owners have reviewed their SUZUKI GSF600 BANDIT (1996-2005) and rated it in a number of areas. Read what they have to say and what they like and dislike about the bike below. A beautiful bike. Kept in top spec. Very efficient and reliable. Been very well looked after. Had various new things added to enhance the beauty of it. With over 40,000 miles on my Bandit it's still going strong and none of the components have been replaced apart from the chain and sprockets. Parts are cheap should anything go wrong and they are so versatile that you will never see two Bandits the same. Mine in particular has a full 1200 swingarm and rear wheel with a YSS adjustable shock to transform the handling in corners. Brakes aren't the best, with a heavier 15w fork oil the front forks are better and a YSS adjustable shock on the rear makes the general ride much better and suitable for 2-up. Brakes are nothing ground breaking and I will be looking to upgrade these. Keep the calipers in good nick too as they are known to seize over time with improper cleaning! It's got a beautifully smooth power delivery right up to about 10,500 then it starts to peter off up to its top speed of 131mph (with your head down)! The fairings are starting the show their age. My O/S rear fairing will need replacing due to the plastic clips breaking and the frame is starting to show signs of corrosion, but you take care of it and it will take care of you. I do 3,000 miles in a decent month, so I get an intermediate service every year. It's quite thirsty on fuel with that addictive sound thanks to a Scorpion system and I ride it hard. What standard equipment? I recommend a Tony Archer comfort seat, Renthal bars and a top box rack. This makes it much comfier and versitile for longer distances. I bought privately for £1000 including extras fitted. I bought it with 36,000 on the clock and I immediately serviced it and put new tires on. 4,000 miles later I trust it to go longer distances cross-country this weekend and I'll be putting a new rear tire on since I like fairly soft compounds I go through them quick! I bought mine as a first bike after DAS in April 2015. Having had a go of a few supersports and tourers, it is forgiving. Plenty of power but a smooth power delivery. Fuel economy is brilliant...50+ mpg on a run. Around 45mpg when absolutely caned on the roads. Predictable handling and comfortable on ordinary journeys. On a ride up to Scotland, with heated grips and good gear, I was crippled. That was a 3.5 hour ride non stop. The engine is very vibey through the footpegs and handlebars. Bar-end weights and an aftermarket seat make a massive difference. For a new rider or a cheap commuter bike....brilliant. Worst feature, lack of fuel gauge!! Never carried a pillion. Brakes need regular maintenance especially the rear caliper which is underslung, worth removing it regularly and cleaning all the brake dust and road salt etc off. Have ridden a GSF600 with braided brake lines....these made a massive difference. Smooth power delivery, literally seems to pull from any gear and is very responsive. The power delivery seems sensitive to the exhaust system, I have used two different air filters but a good aftermarket set of downpipes and an end can, has made a massive difference. In my case a Delkevic set of downpipes and a Beowulf end can. Paint finish, metal and wheels overall are good. For a 17 year-old bike. Slight surface corrosion on front of frame behind oil cooler, and on swingarms. Given my bike was kept outdoors for a good few years, this is par for the course. The finish just isn't as good as more expensive bikes. Assuming 6,000-7,000 per year (like me) DIY oil, filter and other filter changes come to about £100.00 pounds buying parts yourself (that is two services plus brake pads and other bits) . A major service including valve clearance adjustment and shim replacement cost me £250.00. Should not need valve clearances doing for a while. I had to replace the downpipes and end can (downpipes were 16 years old and a weld let go, end can was 14 years old and aftermarket). That cost me about £300.00. An aftermarket can and downpipe has made a massive improvement..people hear me with the Beowulf can. And power delivery is smoother all the way through the rev range. 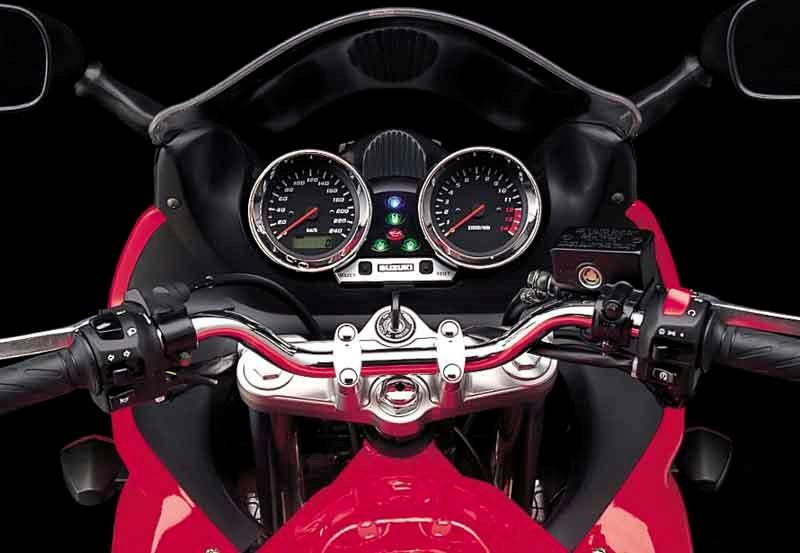 Heated grips...vital on any motorbike. Lack of fuel gauge is a big factor, something to careful of on a run. I have used Michelin Pilot Road 3's. I haven't tried others but they are confidence inspiring....they grip and grip and are solid in the wet also. Bought from a dealer, Norman & Birch in Stoke-on-Trent, spot on service. £1500 for a 2000 GSF600S with 31k miles in Apr 2015. At that time it was possibly £200 over private prices...but worth it for a bike with history. It is very responsive and even at its age now it is quick of the mark..
Just get one and smile. This was my 1st bike after passing my test about 12 years ago. Since then I've had a ZX600R, a Mk1 Fireblade and a VFR750. And now I'm looking at getting another Mk1 Bandit. What can I say? Love em to bits. I have owned this bike for 3 months now and have loved every minute for it. Due to my restricted licence, it has been restricted to 33bhp but still has enough power to get you into trouble. I commute 30 miles a day and am getting about 50-55 MPG. All-round it’s a good first big bike or just a normal every day bike and always leaves you with a smile on your face. Highly recommend it. What an honest bike. Great value used. It'll rust and the exhaust collector will rust out. However you'll grin every day on it. Ive just put a Stebel horn on it - well worth doing cos the std horn is useless. 50 mpg sensible riding. Genuine 120 mph +. Starts, rattles and runs for ever. I bought my 1999 Bandit 600N a couple of weeks ago. It is restricted due to my licence but has plenty of power up to 9k then it just goes flat, but i've been told that that is where the rest of the power normally kicks in. The bike only had 11,500 miles on it which i hav already aded another 1000 miles to. So far so good. The handling's good, the riding position is all day comfortable, and I've been averaging 50mpg (I dont like to hang around!!!). When i first got on, it felt very heavy but as soon as it starts to move it is as light as air. Very stable and confidence inspiring. However, the bike is not perfect. The front forks are a little soft and it is pain to do any engine work as you need to take the tank off (which takes time if you dont want to chip the mint paintwork). The brakes seem fine - after I rebuilt the front calipars. I would recomend a fly screen as motorways are hard work otherwise. Also, a tail tidy looks soooo much cooler than that grotesque thing it had before. All in all, a great bike that can do pretty much anything. I love every minute I ride her and deffinatlely have chosen the right bike for me. Also, at £1200 I cant complain!!! I picked up my Bandit 600 (1998) on Thursday and have done roughly 200 miles. In that time all I can say is that I love this bike. I had been riding a CBR 125 for the last 2 years so I was quite intimidated when the keys to my Bandit were first handed to me as I new I had to get home on it. After riding for about an hour all the worries I had were gone. I found it very comfortable and easy to adapt to. I’m on a restricted licence so it’s been limited to 33 bhp but I think it has more then enough power for a big bike newbie and the restrictor kit hasn’t taken any of the fun out of riding. Now as I said above the bike is 98 and for a bike of its age I think it looks great. I won’t be able to comment on some things until I had it a while but my overall verdict is that I would defiantly recommend this bike. I bought a 2001 mk2 600 bandit soon after passing my test in Sept last year.I have loved every minute of riding this bike though I did find it quite heavy early but soon got used to it. Servicing it fairly straight forward although I did have problems fitting new rear brake pads due to poor design. It has got plenty of power and I have no problems keeping up with my friends FZ6, FZ6 Fazer and Honda Hornet.Fuel range is very good though I don't have a fuel gauge so have got into a habit of fueling up every 100 miles which costs about £8.00/£9.00. It has a nice smooth gearbox which is much smoother than the FZ6. The Bandit 6 is a great bike that will serve you well. Had a 2000 model Bandit from new and it was my 1st 'big bike'. Plenty of power for a newcomer, comfortable ride and excellent handling (i could take turns faster on this than many race-reps i've ridden). Build quality was slightly iffy in places when compared to more expensive bikes, but then you get what you pay for. Ultra reliable though, the only problem i had in 4 years was the brake calipers seizing (design fault). The bike is also very heavy for a 600 which may catch some smaller riders out. Overall, a great 1st bike. This, as for so many others, was my first bike. Fot this reason I could never hate it. It had a scorpion exhaust, that assisted those pops and crackes to be heard when slowing in gear, which for me is one of the best engine sounds! I shall be honest though. The forks dive badly, the brakes are decoration I think, because they don't seem to affect the speed of the bike much and the bike does not instil confidence in corners due to feeling rather top heavy. Don't trust the fuel guage, it lies! Reading this you might think I had bought a well used hack, not so. It had done 2500 miles and was only a couple of years old. Very clean, and was like new. So why is it so bad? In my opinion its because its so cheap. So there is nothing more negative to say really. You get what you pay for! For a cheap bike to pin to the stop at every opportunity (provided you wont need to stop in a hurry) it's great fun. If you decide to buy one, change the exhaust for something that lets your hear it, and you will forgive it for anything....well....almost. I had one of the original Bandit 600s, bought it before the reviews came out and was really impressed it. I've had countless bikes before from tourers to customs, trailies to race reps, many of them Suzukis and I look back on the Bandit with some fondness. Considering it's "budget" status, it never let me down, handled, stopped and look spot on. I gather they dont take crashes very well, but no modern bike does. Innitially I fell for the "back to basics" aspect and found that seemed to be just right for me at the time. Overall, for a budget middlewieght, the Bandit really hits the spot. It was ok... covered 48000 miles before it got really worn out. Not made to ride in all weathers, or proper distances. Didn't break down much but the electrics rotted in the end. You can buy them cheap though. Superb. Excellent reintroduction to biking. Had my Bandit for a couple of months now after returning to biking after 10 years. Had a CBR600 last time. The bandit knocks the spots off it. Fitted a 14 tooth front sprocket last weekend. The difference is astounding. Pulls from 20mph in top gear. Lost some of the top end but I dont often go over 90mph anyway so would rather have the better acceleration. Reccomended upgrade. Strengths: Excellent MPG 50+ if you dont abuse the throttle. Easy to maintain. Easy to ride. Just a totally outstanding machine. Weaknesses: Front forks too soft especially when braking. Brakes need a bit more than normal effort to stop quickly but you get used to them . Gonna try some sintered pads next time. Well I bought my bandit new for £3500 and have now coverd over 12000 miles on it. So far it has done everything I've asked of it. for saying it has been used every day for the last 2 years come snow rain and shine the paint work has stood up quite well. I have given it a good clean on a weekly basis, and fitted a scott oiler, along with a top box and fly screen. the only down sides to the bike are poor front stoppers and way too soft front suspension, but I have fix the latter with different fork springs. also there is vibration between 55 and 60 mph. All in all it makes for a good cheep run about. Strengths: Value for money and it makes a great commuter. Weaknesses: Poor brakes and soft front forks. Just returned to biking after 20 years- mid life crisis! Saw Bandit in local dealer. Fell in love! Wolf in sheeps clothing. Mind you after 20 years a moped would seem fast. Great acceleration, great fun, reasonable economy and stable up to motorway speed limits. Low insurance costs.This is the ideal first 'big' bike, or resurrected biker like me. Strengths: Power, low centre of gravity, (I'm 5 feet 8 inches, with short legs, and can put both feet on the ground) Handling is also very sure, especially for the born again biker. Weaknesses: Paint finish. Generally pretty good, but look for corrosion underneath. Bikini fairing not much use at speed, 'uncomfortable' buffeting at high speed. Also a 'pig' when cold until it warms up, takes a couple of miles! I bought this bike because I got an excellent deal on it and for no other reason. At first I was worried what it'd be like since it was so cheap...but damn this is a great bike for your money. Not the most exciting bike or the fastest but it`ll never let you down. Good tank range, good comfort and fun when you want it to be. The best feature of this bike - it is idiot proof! Countless times hamfisted riding and late breaking have been saved by this bike. It is uncrashable and I this would make it an awsome bike if you're new to big bikes and I'm convinced that because of the confidence it gives my riding has improved 10 times over. Strengths: Cheap bike/parts/insurance, easy to ride, reliable, add panniers and it`ll tour, loads of aftermarket parts. Buy one they`re a bargain. Weaknesses: Overtaking needs the right gear and a little planning and the finish aint great, that`s about it. Bought Bandit from new as everyday transport, fun at weekends and light touring. Fantastic, reliable, economical with no faults apart from replacing exhaust due to rust in 28000 miles. This bike will have a go at anything and is great fun so long as you don`t try racing. All you need in the real world and all for £3995. Has been through 4 winters and still looks good with a little care. Not a problem if you are in love! Strengths: Reliability, economy, cheap to run and easy to home service. Weaknesses: Paintwork on frame in some places. Not bad for price though. The bandit has seen me through the daily commute and the sunday blast up to breacon. I have stored the bike outside under an oxford cover, through winter and it wasnt the coldest winter ever the bandit started first time everytime. Through summer the bandit moved forward into a agile machine that allows you to take your riding to a new learning experience where grip is king and allows you to corner faster and harder than you ever could in winter. Also if there aint one already buy a hugger it will help keep the rear shock in good condition. 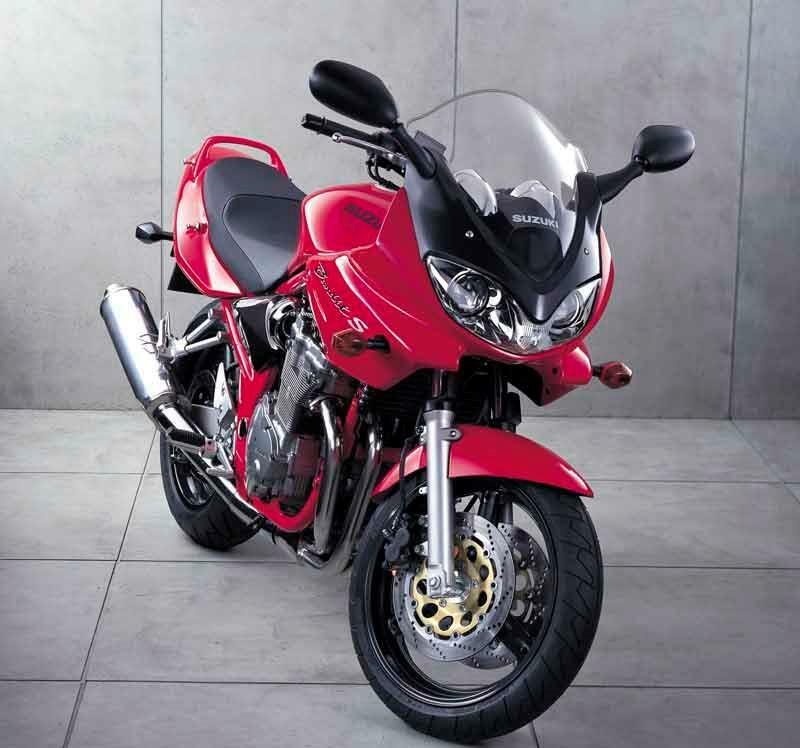 Strengths: Overall the bandit is a comfortable, brisk, fun all round naked 600. Weaknesses: Unless you keep on top of the cleaning it will rust badly through winter (once a week thorough clean and a quick rinse to get salt off in the evenings depending on the weather). Its heavy and at 200kg it takes a short while to get used to pushing about. After my first review I thought an update was in order after six months of ownership. Well not much more to add really. The bike has been very reliable over the winter and I have covered 2000 miles. The biggest problem I have is corrosion on the heal plates and the chain adjusters. I have washed the bike after every ride and yet things still corrode. I now use the scott anti corrosion spray which has seemed to help. The braking is still good and have not encountered any fading and the handling is still good, apart from a speed wobble at 120 MPH (maybe a steering damper will help with this) Above all still very happy with the bike. Strengths: Ease of use, low maitenance costs, relability. Weaknesses: Build quality, speed wobble. Not the fastest bike in the world but its enough for a newer rider. Experianced riders will find that it wont excite to much. The GSF600.....OH MY LORRRDDD! Wot a bike! I have to say I agree with all the other reviews on this page, I have a GSF600 in burnt orange, it is my first big bike (tried ridin lots of others) and I havent stopped grinning since I bought it! It can be burbled around town and copes extremely well in traffic, but you can also open it up if you feel the need to and it still has the power to scare you silly! This is an all rounder bike so the handling does not compare with some of the race bikes you see on the road, but cant really be faulted (upright bike not a leaner) The bike is my daily rider so needs to be practical, which it is, but it also keeps me grinnin like an eejit (daily) with a little blip of the right hand. Strengths: Good handling, price wise...unbeatable, good daily rider, power when and wherever you want it, EASILY upgraded..power and looks. Weaknesses: None found so far. In black It has done 6k miles in 5 months with no problems! I have used this bike every day to commute on and it is a great bike. I have had no problems with it. (You read about people with their bikes going through chains and sprockets within 5k and bikes rotting and bearings going). But as of yet I have had no problems which I am very proud of the only things I have had to replace is a set of rear brake pads and that is it. The only changes I have made to the bike are a Scottoiler fly screen and heated grips. I must say there are much better bikes out there and performance wise the are much better handling and faster bikes but considering the cost of the bike and insurance plus what it will cost to run, this is a very good bike for the real world. Strengths: This is a very easy bike to ride and someone with very little experience on larger bikes this is a bike to have. But one warning it is heavy 200kgs! This isn?t really a strength of the bike but I will mention it is insurance £540 TPFT I am 18 with 1yrs no claims that is very good. Weaknesses: The biggest problem with this bike was the build quality you can't just leave it over the winter if you use it every day. I found that I needed to wash it every Sunday. The bandit I have just bought is very nice but I am dissapointed with the headlights, the road spread is not very good. Strengths: Nice upright riding postion. Weaknesses: Headlights. Great bike that does everything you could want well at a bargain price. User friendly for new riders but has a power surge at 9k that makes it great fun. The performance is underrated, its not just as fast as the Fazer or Hornet, but a decent rider can make all the difference. Strengths: All round capability. Weaknesses: Keep an eye on the finish when used in poor weather especially if there has been salt on the road. Fairing not much use as its too narrow and low. My first bike, and although having nothing to rate it against, I love it, every ride has me grinning like a fool. brilliant to learn your craft on. plenty of 'add ons' out there. easy to work on, easy to ride. Strengths: Good brakes, superb engine (over 8000 revs) it howls. Weaknesses: Suspension is fairly soft, and the non adjustable front end is a shame. needs TLC to keep it in best condition. Don't like the bad vibes thro handlebars around 55/65mph. Otherwise a lot of bike for the money. First 'big' bike, extremely pleased so far, bought in the new silver colour so I get quite a few glances 'cos its unusual. Quiet sound to the engine which I like, its even been mistaken for a bandit 1200 the engine looks so big. Acceleration is excellent, and i'm still running it in (not execeeding that 6000rpm for the first 500!!). A few fellow 'bikers' have commented that the 600 is gutless, ha! !, theyve never even tried one! All i can say is I'm well pleased with it....10 out of 10. First bike was 600 Diversion. Great first bike, but Bandit outclasses in every way. Bandit looked excellent in black and would have suited the gold race can that was delivered the day I rode it into a dry stone wall. My fault, bike lost traction for an instant, enough to have me sit up mid corner and hit wall. RIP Bandit. See www.thegreigs.co.uk BIKES for more. I would recommend the 600 Bandit to anyone. It's a bargain. It may be out-classed by the Fazer, Hornet and SV, but it's right there as a do everything road bike and I'd have another (when the plaster comes off). I love the retro style and the responesive engine and brakes, the wing mirrors could be better.